Cees Nooteboom is a name often mentioned on this blog , I have interviewed him a number of years ago and also the translator of this book Laura watkinson .Well I have also reviewed Cees books twice before in fact, so this is the third thread of his writing I’ll be reviewing as i have previously reviewed the novel In the dutch mountains and the short story collection The foxes come at night .So now I move onto a travel book of his , that is more than a travel book it is really a musing on life , art , history and the world we live in . You are a god , and I am a man .That is however one looks at it , the state of affairs .But perhaps I might be permitted to ask you something I have always wanted to know. What is a human being to the gods ? Do you despise us for being mortal ? or is the opposite the case ? Are you jealous because we are allowed to die ? Because your fate is , of course , immortality , even though we have no idea where you are now . From Poseidon II , of course we never know the answer but we have to ask ! Letters to Poseidon is one of those books that is very hard to pigeonhole as it is a collection of letters that Cees has written every year to a muse that of Poseidon (Greek god of the sea ) to protect his Menorcian home every time he leaves these are 23 slices of musings from the great Dutch writer that are divided into a sections .A lot of the musings start from a conversation that he has with Poseidon that is about how the god has been viewed and represented in history .Also musings on items , events even nature .This is one of those books that is hard to describe as a whole as it is a mosaic of pieces rather like one of those photo mosaics with Poseidon being the big picture but lots little pictures on every subject under the sun making this picture up . At around midnight , here in a Germanic winter on the edge of the alps , I see him again , Orion , the blind hunter , the moon man of the mountains , Poseidon’s son , the most beautiful man there ever was , lured into the bed by the insatiable Eos , the drawn , who was tormented by unflagging lust as a punishment when Aphrodite caught her in bed with Ares , the god or war .I know Orion from winter nights in Amsterdam , when I see his shape above one of the canals . from a piece called Orion , I know Orion as well he is one of the few constellations I can remember in the nights sky so have also seen him many a night as well . Now I’ve been vague about the book and I don’t know why it isn’t a vague book , list a dam hard one to pass over its sheer brilliance fully .The nearest to it would be Sebalds work it has same feel of a mind at work musings become digression become little stories or thoughts even a mix of pictures like Sebald had .Leopardi would another writer that this book has reminded me of is Zibaldone by Leopardi Nooteboom is exploring ideas the idea of sea and the nature of Poseidon , rather the same way Leopardi constantly muses of the way language evolved , Nooteboom exams how even now we view the god of the sea .Now this book yet again shows me Stu why I always highlight Cees Nooteboom as a potential Nobel winner as he has such vast skill , I really need to try his poetry next I think or hope his first novel which he mentioned in the interview as one to read published .I’m just sorry it took me a few months to review this book as it is one I feel most readers of this blog will get something from . 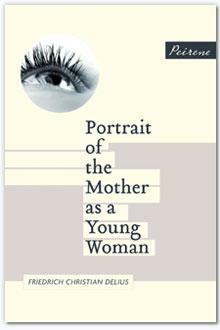 Have you read Cees Nooteboom ? Well we have managed to read between Lisa ,Tara and myself to read all the shortlist and in the end had read forurteen books between us at least two or us had read the shortlised books.Not bad as we decide only just before christmas to do a shadow jury .Next year we will be more on the ball . So we weight up the list which for me was very strong a couple of writers quite well known , one truly epic novel , one new name to me at least and a short story collection from a writer I really like .So i just managed to finish the fifthn book last night and have two more to review , so thankfully the winner we choose was a book I have reviewed . 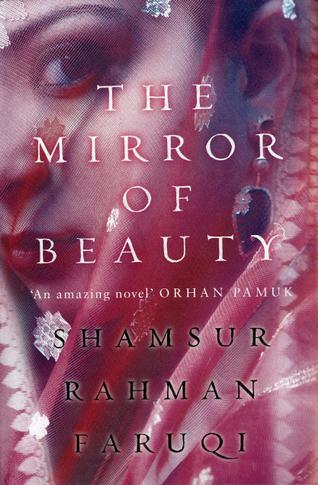 We have chosen the Mirror of beauty for the first shadow DSC prize and it is the Epic The mirror of beauty by Shamsur Rahman Faruqi .I had this down as a favourite when the list came out as I had read the book before it came out here back in 2013 when the book had come out in Inida here is my review .The book takes the life of the mother of the poet Dagh , his mother Wazir Khanam life touches many in Mughal indian and we get a slice of the world at this time is this epic novel .We must also mention that it was run close in the shadow jury by Noontide toll , we just felt this was maybe a book that lasts longer in the readers mind and soul . have you read any books from the list ? would you like to take part next year? Of course there was the damage of Tsunami as well as the civil war .as in the opening of the story shoot . Noontide toll is one of those short story collections that could also be called a novel very easily it follows a collection of trips and people connected to a van driver called Vasantha , as he goes about his business as a driver and van , he is hired by various people and as we see them coming and going .This follows life returning to normal , if that is the word after the end of the civil war in Sri Lanka .The war saw the north trying to be a separate state from the south as the population in the north the Tamils formed a small percentage of the island and were always the underdogs .Anyway if the course of the book Vasantha starts in the south , in fact the stories is in two halves the first being the south and then as with the stories the second half is the north , seeing him visiting libraries destroyed by the war .elsewhere the past of britain is visited as some one goes to see Leonard Woolf’s house . I hadn’t had any people from Holland in my van before .I liked these two .They might have been diplomats or from some funding agency , but they didn’t talk much .On our journey up ,I don’t think they said more than a dozen words each .But already they have picked up some local terms . from the opening story folly, maybe title has more meaning ! but it sees the van taking people come to give money after the civil war . I for one was shocked at the time there wasn’t more reported on the violent end of the Sri Lanka civil war , which saw the government after a number of years of Tamil tiger actions in the mid 2000 , finally launch an all out attack on the north which saw the fall of the Tamil tigers , but also 200,000 people displaced by this violent end to the conflict .I imagine for Romesh this was a hard book to write and get right , not be too one way or another but even as we find out in the book Vasantha could be any of us , he is an average Joe and even he can see how wrong near the end of the book what had happened in the final years of the civil war and the deep scars that are still there just under the surface ,possibly waiting to explode again ! As we spoke about this book , I was tuck by a point Lisa said about how easily forgotten events like this are and how some people may have not even been fully aware of what happened their . Have you read any books by Romesh Gunesekera ? Well this week has seen arrival of two book by writers I have written about before but also from different sides of the middle east . First to arrive this week was this Novel from Israeli , the fourth book to be translated to english from this writer whom I first reviewed here on the blog with his book Almost dead , this seems to a more mature work from a writer whom , I like first time round .this book has been called the Great Israeli novel and follows the goings , comings and politics of one hilltop in modern Israeli . 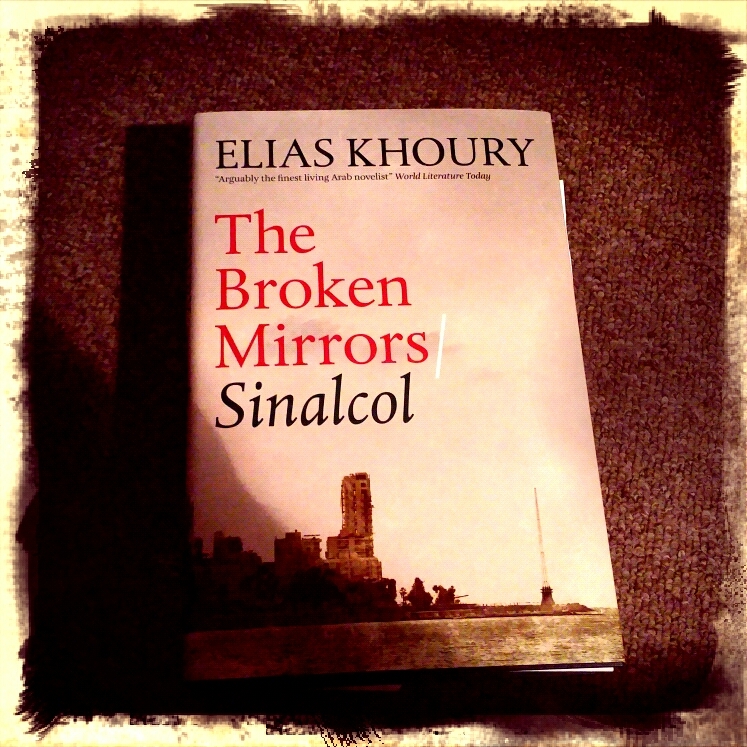 Then today dropped through from Elias Khoury ,another writer I have reviewed before on the blog two books by him Yalo and As though she were sleeping .Considered by many to be one of the finest voice from Arabic literature this is his latest offering and follows one man’s journey back to Beirut from the safety of France to find the mythical ghost of a man the hero of the civil war Sinalcol . 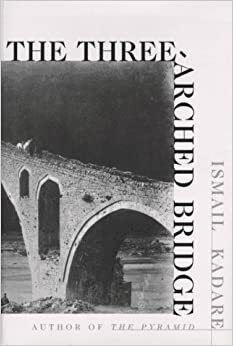 So two writers from different sides of the middle east both at the height of the career be interesting to see which I enjoy most this time round . Have you had anything interesting arrive this week ? Driven to read but have I passed the detours to do that ! 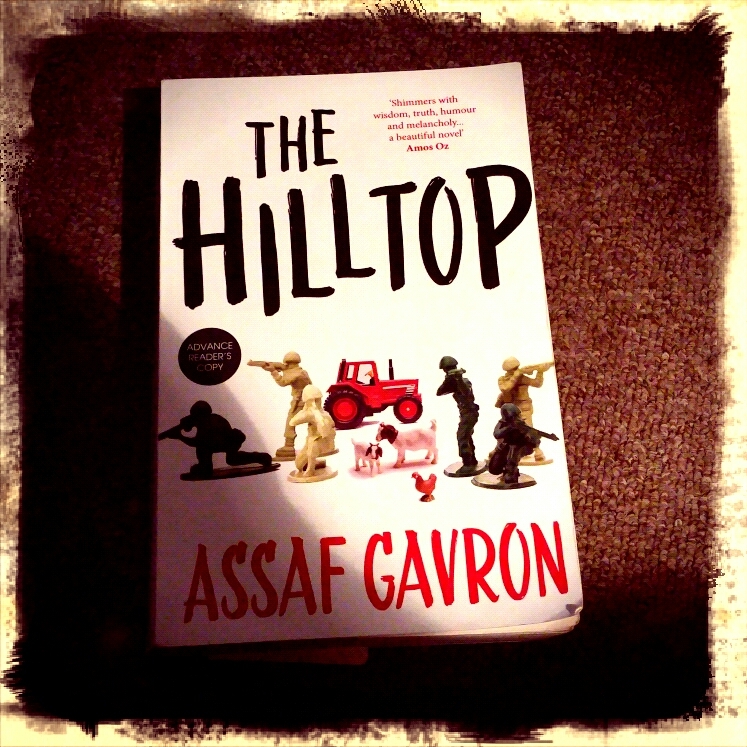 I always enjoy one of Simon at Savidge reads thoughtful posts about what it is to be a reader , like yesterdays rainy day books post .Well as ever it set me thinking and well I have been thinking for a year or two about firstly this blog and me as a reader , of course the two are connected I do choose what goes on the blog .Do i thou because this last twelve to eighteen months I have felt a bit like a runaway lorry in my reading habits and my blog has become the M1 (main motorway in the uk ) for books in translation .To steal an idea from Julio Cortazar with his book about traveling the main road in france , well this blog maybe has been driving to long and maybe needs to start turning into one or two rest stops , by this I mean books in english , african fiction things I used cover more when this blog first started , my biggest problem is I can’t help myself with books in translation , I just love them but after nearly two hundred straight books in translation , I’m feeling the need to break with my routine .A perfect example would be the collection of Anthony Burgess novels I was sent a couple of years ago , I was so excited to get these as I loved him when I used read anything years ago , but they kept being pushed back and my pile of books sent to read kept growing and they never got read , even now writing this post I have a large tinge of regret about that lack of reading those books .I’ve written about this before and sure I will again ,I’m very driven in what I read and maybe need to just make myself lighten up a bit ! 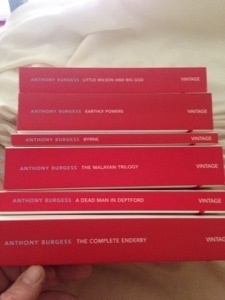 I could try a challenge to do this but no I will try for 10% books this year not in translation this year . I choose Bruce Springsteen growing up of his Debut album , like Gieles has to in this book . Well its always exciting when a new publisher of books in translation appears , what make World editions special is they aren’t new , just new to the uk as it is a new arm of the Dutch publisher De Geus .They had published this book a few years ago in Holland it won a prize for Youth literature , and is her second book to come out in dutch and her first to be translated to English . I am like you training my geese for a project .I cannot run into details .It is secret and surprise for my mother .Like your rescue flying , my project is also an action of rescue .As I already wrote , my geese do not excel in listening .They behave stupid sometimes . Gieles writing to his hero Christian Moullec about trying to train his geese . Now I have to admit I pick this first of the books from the launch of World editions as it appeal least to me and I am always one that believes in a challenge and it was also the longest of the launch books so .From the cover above you get a number of clues as to the nature of this book .The book follows a fourteen year old boy Gieles , now he lives next to a runway , in what is called a spotters camp .There is just him and his father , his fathers job is to keep the runway clear of Geese .But they also keep two geese themselves at home , which is Gieles dream to make them fly like one of the two heroes he has Christian Moullec the renowned french ornithologist , how has written books about using gliders to teach geese to fly (a similar idea and story inspired the film fly away home a few years ago ) .Add to this his mother is chasing saving the world in Africa , a best friend called Super Waling , whom is a historian and journalist , also like Gieles has his own problems .Also there is Gieles other hero Captain Scully , another link to geese he was the pilot that managed to land a plane in the Hudson river a number of years ago , after the plane got damaged after a goose flew into the engine . Gieles reminds me of Adrian mole at times in the way he speaks . Twisted is what I would call this book , many threads but also mainly linking ideas in a way .For me the main idea is loss and travel Gieles has lost his mother but still yearns to be free of where he is ! Super Waling is an interesting character a fat chap that has lived around the town , but has seen history pass him by and strangely enough been in a plane crash .Gieles desire to fly the geese is another strong thread , the birds themselves seem to maybe symbolize the boy themselves , his two birds can’t fly , but could if shown how by Gieles , but also Gieles can’t fly and can’t help them with out the help of a hero ! I imagine for a teenage reader this is great stuff , even I admit it I got drawn in partly as it wasn’t to a dutch friend point out mid way through the book it was actually a YA novel in some ways .I do question that but I had same questioning with Mark Haddon’s book the curious incident in the night-time , in some ways that is the book I was reminded of Gieles is maybe seeing the world as a teen would but also has unusual loves and heroes for a boy his age rather like Christopher in the curious incident .. 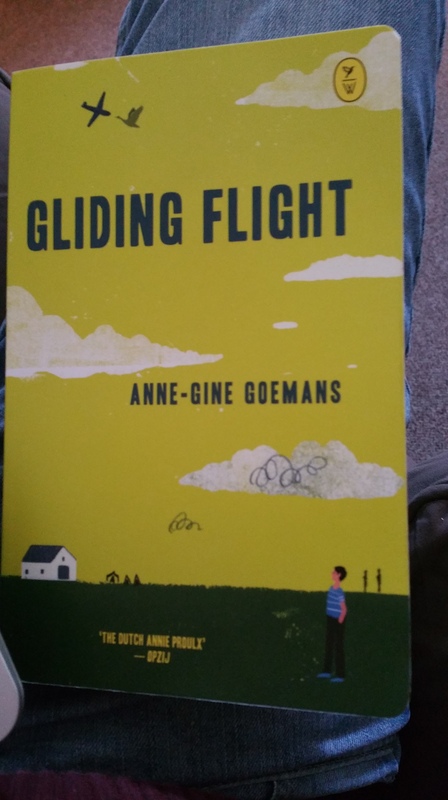 ., also Adrian mole that twisted teenage take on the world we all have has been caught so well here .We all had drives and dreams like Gieles but did we go as far as he does ! Have you read this book or any good YA in translation ? Well I fetch earlier this week four books from library I had ordered in this wad the first it was mentioned in an end of year choice by someone I can’t quite remember who .But idea of following a modern retake of Steinbecks travel with Charles , well the Dutch travel writer Geert Mak did just that .I am reading this and finding it more a discourse on a lost America than a real retracing of the journey so much .But still enjoying it and giving me a chance to read travels with Charley at the same time .The other three books fall into the possibility of been in the IFFP longlist so have got to read if I get chance over next couple of months . 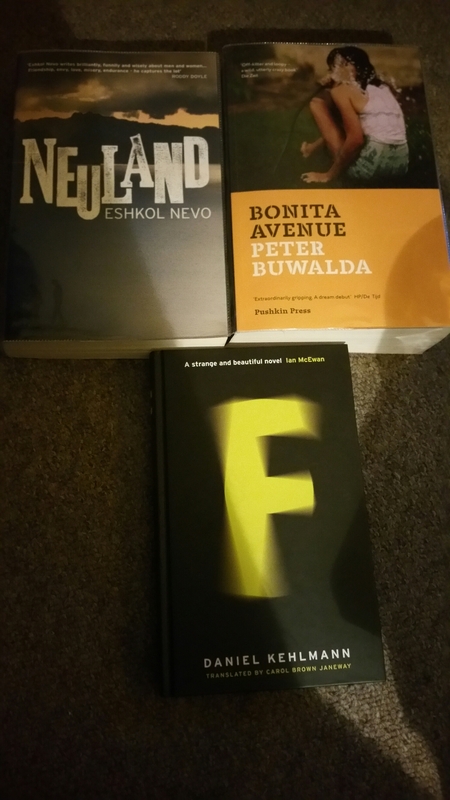 Well I choose these as they all appeared on Boud Tonkin’s end of year list at the independent and over last few years I have found a this a partial guide to what may appear when the IFFP comes out . 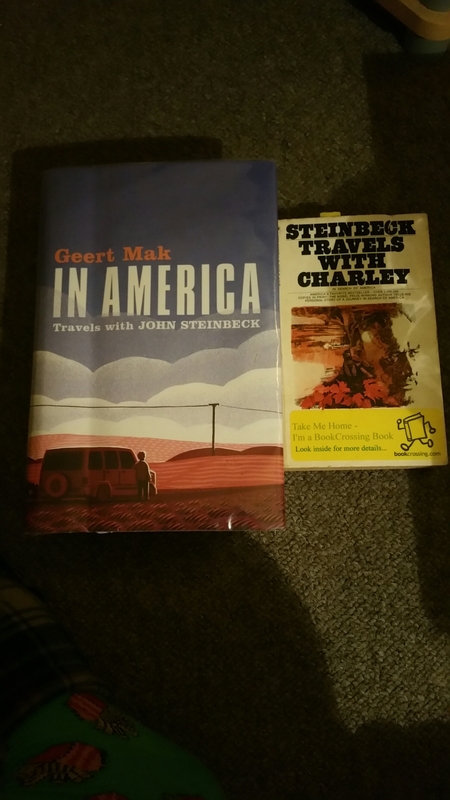 What books have you got from the library this year ? Does that mean that I’m getting boring? Well after watching the film last night of Stuart Murdoch first film , I thought of his lyrics as he seems to capture what is going on in the mind so well in his songs and wandering days from Belle and Sebastian debut album seemed just right . Well I reach last of the first year of Peirene books , the year of the woman series and this was actually Peirene no 1 .Now I will spare you another stream of consciousness homage review like I did for the first review .Since the book came out FC Delius has written three more books and won the Georg Buchner prize , considered the most important prize in German literature . Just as she is walking clues to a forthcoming son maybe ?! The book follows a young woman on a walk through the streets of Rome to see a Bach concert , whilst taking this walk we enter her mind and see what she is thinking as she is walking her husband is due to be moved to fight for the Germans on the African front again .A clue to what is making her think this is the fact she has just left the doctors ! She things over her past present and future as she walks alone , things like a concert they saw in kassel ( I remember this although near end of the book as it is where an old girlfriend of mine was from so I spent time in Kassel years ago ) .What comes across is the feeling of being a woman lost during the war , a husband away fighting for the homeland and wondering how the world they live in end up this way . The scene from earlier in their relationship when they were in kassel . Now to be honest I struggled to review this book five years ago and still have this time , although I enjoyed it more second time round and felt I got more out of the prose this time .There is a real sense of being in the mind in the thoughts of the woman , who has just left the doctors and is thinking mainly back on her life and meeting her husband and their life .There is also a bit of denial and fear in one she is trying yo avoid what may face her husband but also knows deep down what is happening and that at this point the war seems to have no end in sight in 1943 .It’s hard to imagine this book isn’t partly inspired by Delius own mother in some way , he was born in 1943 , which is the same year and time as the woman in the book leaves the doctor in January 1943 .I made more of the connection to James Joyce in the first review , of course the title is a play in a way to Joyce’s book a portrait of an artist as a young man .Delius has written this in a modernist style but it isn’t as complex prose wise as say Joyce or Woolf .More a nod to these master using a small glimpse of time a walk to a concert , like the day of Ulysses or day of Mrs Dalloway’s party to expand a small amount of time into a lifetime and the events of a simple walk through the mind’s eye become the events of ones life .